Cars are going through a technological revolution similar to what phones went through with the introduction of the iPhone. All major car manufacturers have begun a major shift away from the internal combustion engine due to its damaging effect on air quality and climate change. Electric motors are up to three times as efficient, meaning they use a third as much energy to do the same work. And the pace of technological innovation and change around electric vehicles and battery storage is quickening. Much Lower Emissions … or powered by the Sun! EVs run on batteries and produce zero emissions on the road. Of course, charging batteries does require electricity. But, Maine’s electric grid has a strong mix of renewable sources like wind, hydro and biomass, so the environmental impact and emissions associated with driving EVs here are much lower than average. A Maine Chevy Bolt produces only 1/4 of the carbon emissions of the average gas vehicle. When charged by nine solar panels per 10,000 miles, you’ll be powered by the sun! The first thing you will notice when driving an EV is the quiet and much smoother riding experience. When you step on the accelerator, power is delivered immediately to the wheels, providing an exhilarating driving experience. All electric cars are fast, but the Tesla X electric SUV zooms from 0 - 60 mph in just 3 seconds! Driving Range – Imagine never going to a gas station again! EVs now work well for most commuters despite a range inferior to gas-powered cars. Almost all recent models boast a range over 100 miles, with affordable models like the Tesla 3 coming in at 220 miles. Freedom from gas stations is a prime reason to consider an EV. 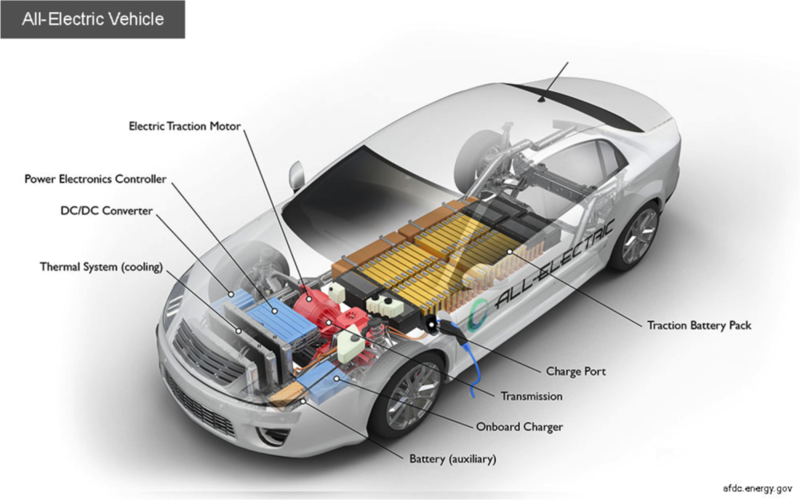 Plug-in hybrids like the Chevy Volt use electric motors to supplement the driving range of a small gas engine. With it’s all-electric range being only 53 miles, most owners who charge their Volt at home get 1,100 miles between fill-ups due to short commutes. Consider that it takes about 12 minutes to refuel a gas car, with pulling off the road, paying, filling, and getting back on the road, while EVs take just 15 seconds to plug-in at home! Though the price tag of many new EVs may seem high, operating costs of EVs are lower. First off, savings on fuel costs (4 cents per mile for EVs vs. 10-15 cents per mile for gas) let you make up that difference quickly. Secondly, many EVs qualify for federal tax credits of up to $7,500 – some of which may expire as early as 2019. And finally EVs do not need oil changes, tune-ups or new exhaust systems, etc., so maintenance costs are greatly reduced. Yes, there is a down side: limited range and refueling time on trips. Range Anxiety! Yes, this worry is lessening because most affordable electric cars now have over 100 miles of range. On long trips however, they can take hours to fully refuel. Without a backup range-extending engine like the Ford Focus, you’ll need to properly plan your trip. But, the vast majority commuters do very well with the range of current EV models and automakers are increasing the size of batteries. Fast-charge capable cars are coming soon and more charging stations are going in everywhere, as Efficiency Maine & ACTT can attest. We are riding a wave of EV technological innovation, so think lease, get into an EV now, and trade up later. Note: The Maine Turnpike Authority, Efficiency Maine, ACTT and other organizations are helping to build tomorrow’s EV charging corridors by adding Level 2 and 3 charging stations at publicly accessible locations such as downtown shopping areas, rest areas, and tourist locations. The ACTT EV Symposium: The Future is Here was a big success. 52 people came out to learn about EVs on June 2 at the Moore Community Center in Ellsworth. Here are some of the details. Sales of EVs continue to climb nationally, and, while not yet prevalent in Maine, passenger EVs are becoming increasingly affordable. Almost all major automakers are building EVs, ramping up more models in the next couple of years, and the electrification of trucks and buses is rapidly developing. For consumers, all-electric EVs use no gas, have far lower maintenance costs, and electricity costs less than gas or diesel vehicles per mile driven. EVs are clearly the wave of the future in transportation. The basics of EVs – for potential EV owners and enthusiastic EV owners who can share their experience. Talk with EV owners, pickup your copy of a Downeast Guide to EVs, Drive Electric in Maine, and learn about the new models. A Ride & Drive session is in the planning stages. Light snacks provided, FREE admission. This session will focus on chargers for EVs – for residents, business owners, government employees, and other stakeholders interested in working to continue to build out the EV charging infrastructure in Eastern Maine.